At Iowa Valley Grinnell, you’ll find a cozy learning environment like none other! We have a learning studio addition that features lots of teamwork-friendly spaces where you can work on projects with fellow students. You’ll find lots of fun events and a monthly meal planned for you by the Student Activity Council. Student activities provide some of the best memories you’ll take with you as you venture beyond our doors after graduation. If you have a great idea or want to start a new organization or activity, contact MaryAnne Nickle, IVG Dean. The SAC is an open membership student leadership organization that plans the year’s agenda of activities. This group provides input and participation in the student-focused events at Iowa Valley Grinnell. 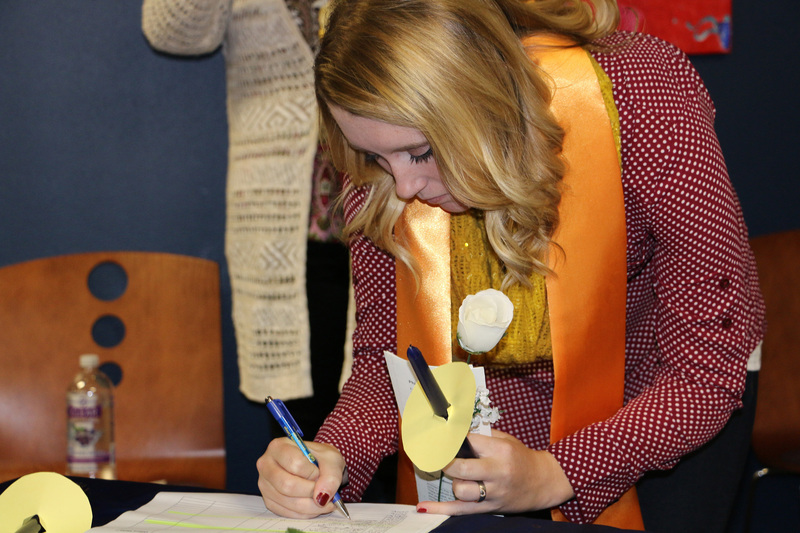 Phi Theta Kappa is the international honor society of two-year colleges. Potential members must meet chapter requirements to be invited to join. Induction ceremonies are held twice a year. Current chapter criteria include a grade point average of 3.6 or higher during the previous semester, a cumulative GPA of 3.5 or higher, completion of at least 12 semester hours or more in a two-year program, and current enrollment. You will be contacted if you are eligible and have the chance to consider membership.